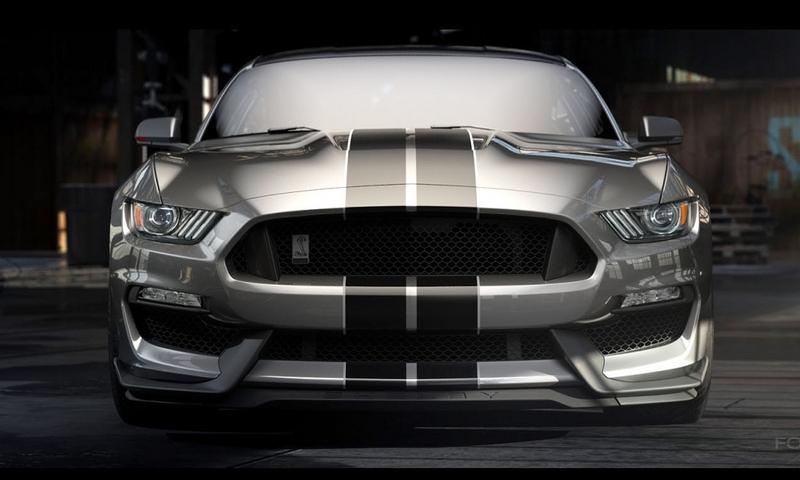 Is the Ford Shelby GT350 the most extreme track Mustang ever? Jake Lingeman is Online Features Editor at Autoweek, a sister publication of Automotive News. He reports on cars, car tech and the world at large. 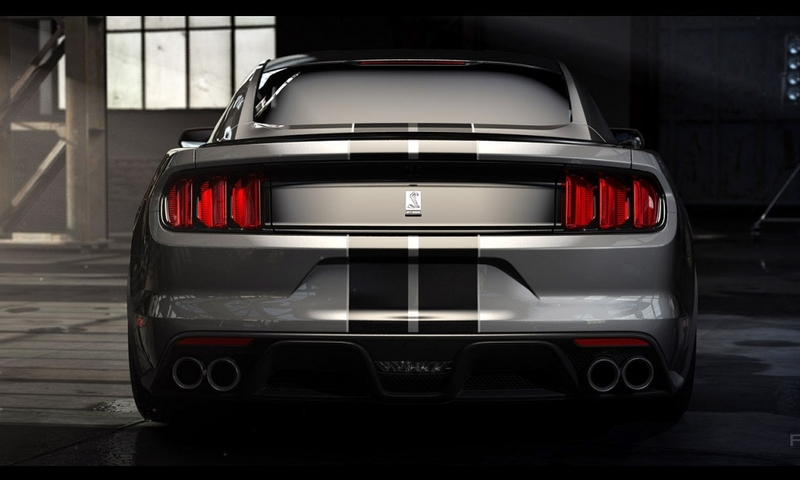 Nearly every part of the Ford Shelby GT350’s suspension is purpose-built for the sports car: It has the most powerful brakes ever fitted to a Ford, the lightest wheels and probably the most aggressive tires anywhere south of a V-8 supercar. 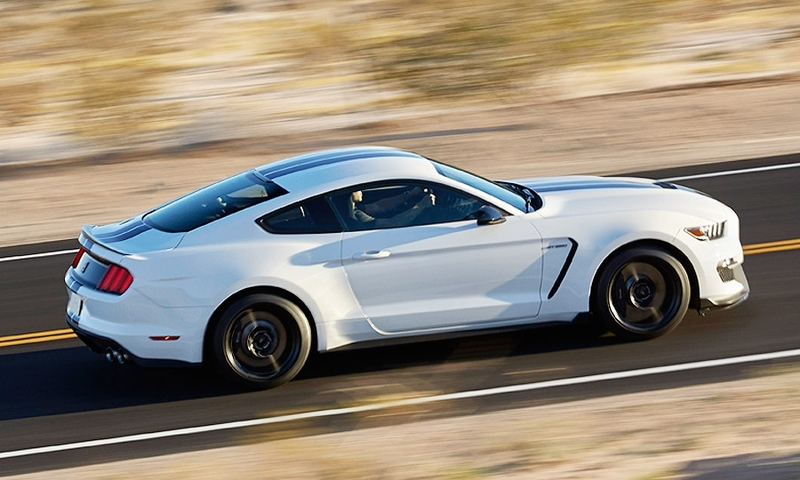 Ford invited journalists to Allen Park, Mich., near Detroit recently for a deeper dive into its latest high-performance pony car, and we came away even more excited to get behind the wheel. 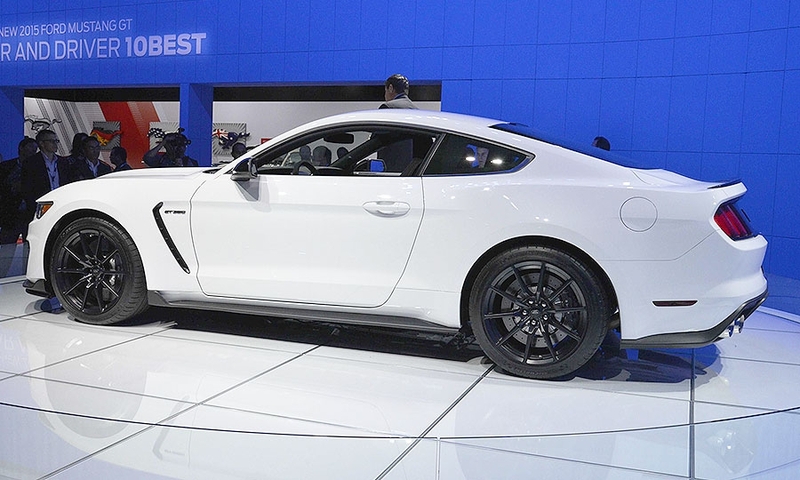 Ford execs say they got everything they wanted from the engineers (and bean counters) including six-piston calipers, two-piece rotors, carbon fiber wheels, adjustable dampers and super-sticky tires, the latter of which were developed for this car. 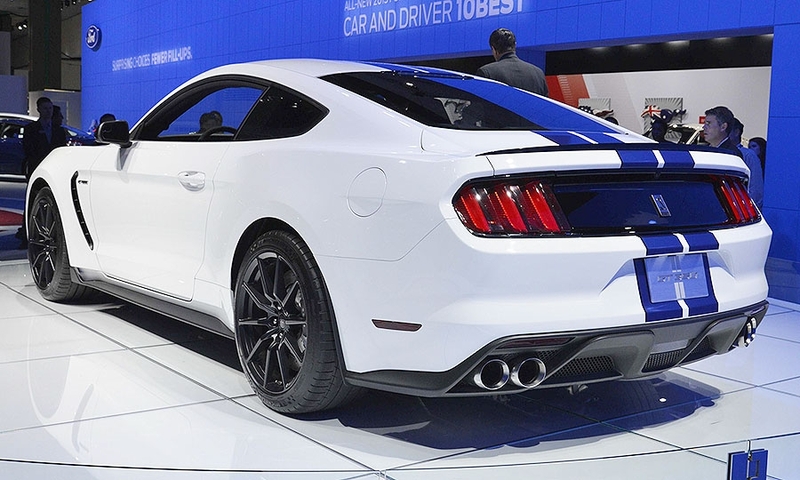 The Mustang suspension -- already new -- has been heavily revised for the GT350. It gets a new aluminum front knuckle, plus hub and bearing assemblies that are stiffer and lighter than standard GT parts. The control arms and subframes get rigid bushings with heavy-duty bearings. Ford also has thickened the front and rear anti-roll bars, which are hollow and weigh less than you’d think. One of the coolest tweaks? 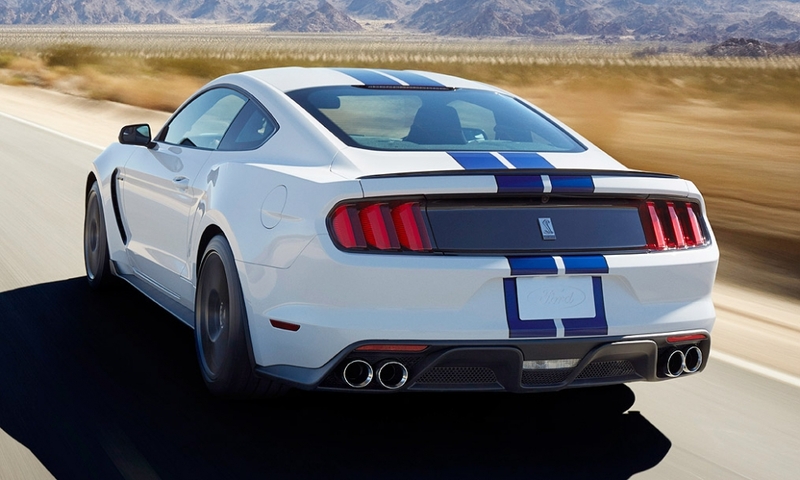 The left and right springs are wound opposite of each other to “perfect wheel motion,” Ford claims. The MagneRide dampers use hydraulic fluid with iron particles, which allows the car to slow and speed fluid flow to adjust damping. 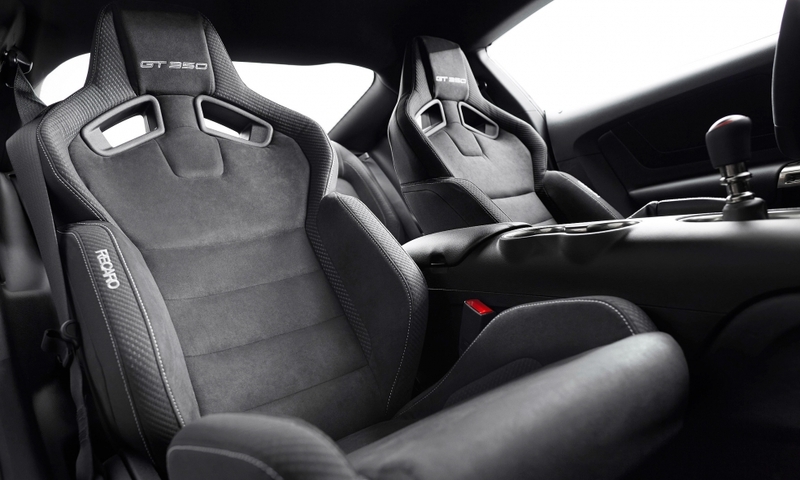 The system uses wheel sensors, throttle and steering data, and can adjust each corner every 7 milliseconds. Now, let’s go back to those brakes. Both front and rear consist of two-piece, cross-drilled iron rotors with aluminum hats (the hats are the center pieces that connect to the hub). The discs measure 394 mm in front and 380 mm in back. That’s only a few ticks off the brakes on the current BMW M3, which has some of the best clampers we’ve felt in a long time. “These cars can be driven by any driver on any track in the world -- with virtually no fade,” said Brent Clark, vehicle dynamics supervisor. The wheels and tires are almost as impressive as the brakes. 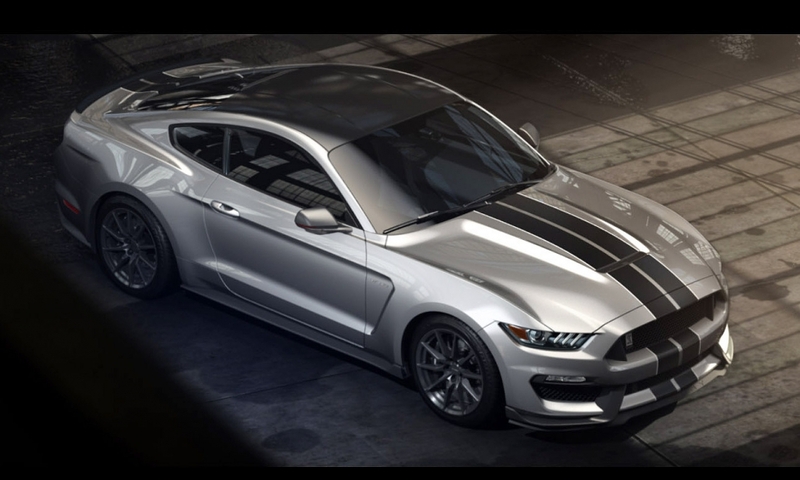 Standard on the GT350R, carbon fiber wheels weigh about 13 pounds less per wheel than similarly sized aluminum alloys. We literally picked them up with one finger. Michelin provides the tires, which are made specifically for each car. 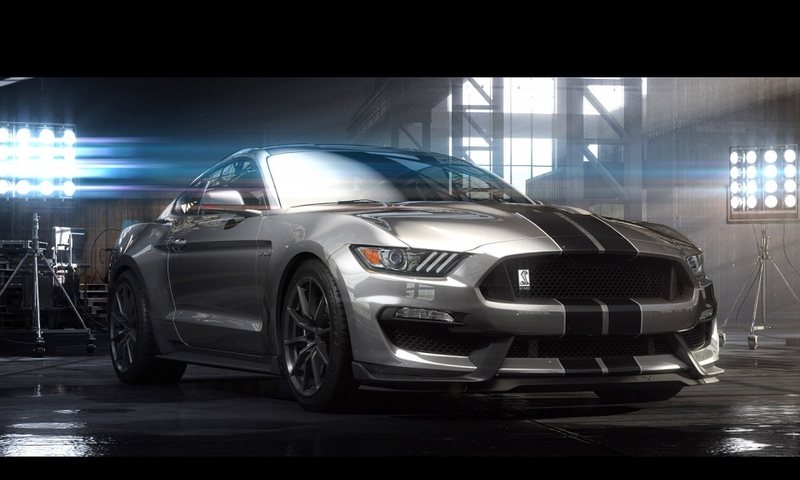 The GT350 gets Michelin Pilot Super Sports and the R gets nearly slick Pilot Cup 2s. 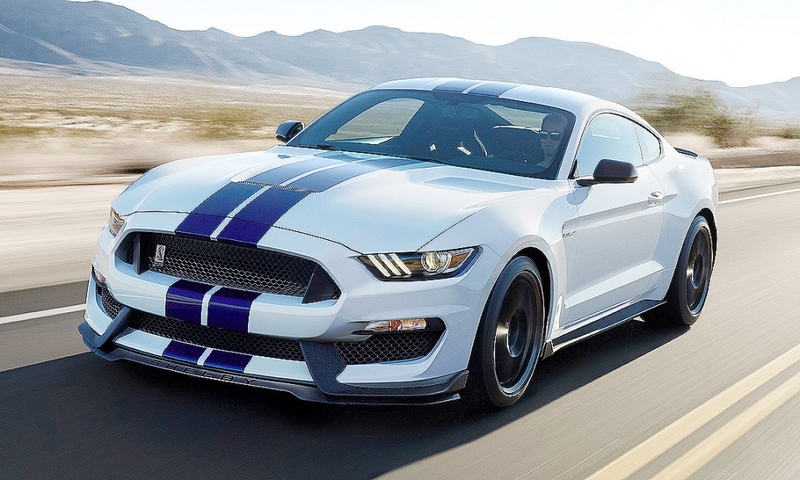 Ford tells us that the GT350 is really a daily driver that’s fit for the track and the GT350R is a track car than can be driven on the road -- just watch for standing water, since there are barely any grooves in those Cup 2s. 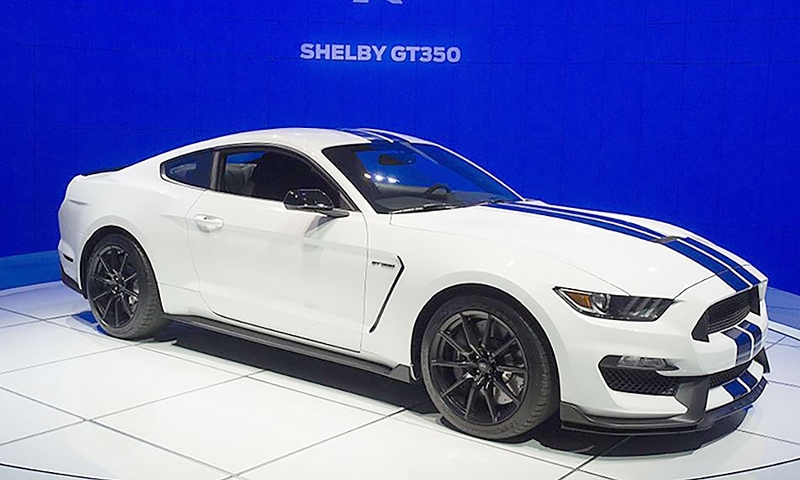 Overall, the new Mustang’s platform is 28 percent stiffer than the last model, and the GT350 and GT350R go even further. The strut tower brace is new and aluminum, and the front grille opening uses a carbon fiber composite (it doesn’t even require a beauty cover, which also saves a few pounds). 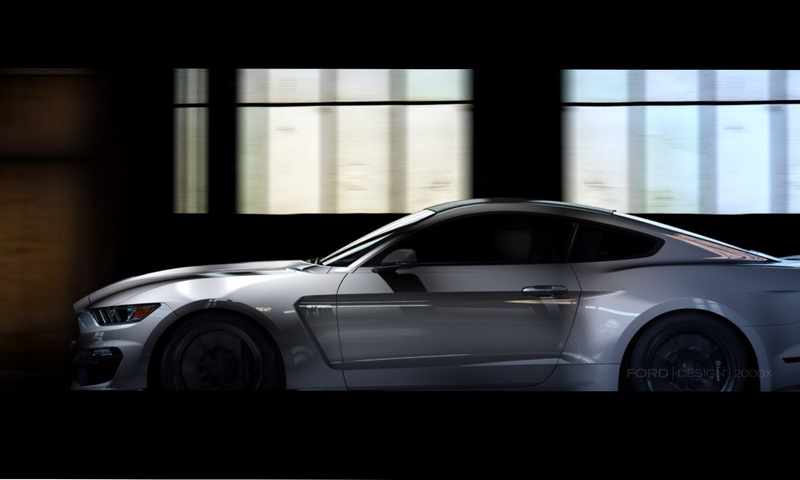 We can’t wait to get behind the wheel of this car, which should happen this summer. We hope we can squeeze in a few track laps too, and put all of that purpose-built engineering to good use.